Following a profitable year in 2015, can Canada’s manufacturing industry continue to exceed expectations and repair economic damage caused by diminishing oil values? 2016 is shaping up to be a cautiously optimistic year for Canadian manufacturing. Led by a surging automotive industry, Canada has reasons for being hopeful that the manufacturing sector will help our economic rebuild. Not all manufacturers will see the benefits of a low Canadian dollar and low input costs however. Resource manufacturers, such as those who produce steel and petroleum, will struggle to maintain their operations due to a lack of energy sector investments. Related Blog: Update: Strengthening Trade Within Canada – Canadian businesses must explore domestic trade options due to less international purchasing power. Learn what the federal government is doing to increase ease of trade within Canada. A low Canadian dollar has several implications for manufacturers. For one, manufacturing inputs (materials) will become more expensive if imported from international countries. This hasn’t become much of an issue to date because existing business agreements have prevented costs to fluctuate and adjust to a less valuable dollar. As these agreements are renegotiated, international suppliers will seek to even the playing field and adjust to the currency’s new value. However, some manufacturers will welcome a lower Canadian dollar if they sell goods in the American or international markets. As manufacturers sell their goods in international currencies and convert it back into Canadian dollars, their profits will have grown based on conversion alone. Canadian manufacturers should look for a domestic supply chain and international buyers to gain full benefit from this trend. Likewise, a rebounding American economy assists Canadian manufacturers who export to the States. Canadian businesses will continue to increase export revenue from American businesses that are looking to expand now that their nation’s economy is showing strength. Businesses seeking cost savings will also turn to Canadian firms to access reduced labour and material fees, once the exchange rate has been factored. Also benefitting Canadian companies is the American investment that arises from low costs. American automotive businesses have been at the forefront of these investments, with automotive brands such as GM and Toyota making manufacturing investments in Ontario. Related Blog: Top Trends in Canadian Business for 2016 – Canadian businesses will navigate new economic conditions to find profits in 2016. Learn how Canada’s key industries will change this year. October 2015 automotive sales (by volume) were down 1.2 percent from October 2014, however when international sales were converted back to Canadian dollars, it appears as though the industry is in the midst of a rapid growth period. Auto sector exports grew by 13 percent from 2014 and doesn’t show signs of slowing down. American investments into the Canadian automotive sector will help to provide a greater number of jobs and increase revenue for the country. An American economy that is purchasing automobiles at a faster rate again will provide Canadian manufacturers with the boost that they need to see another year of growth. Gains made by currency conversion will be assisted with gains in sales volume to create a very comfortable – and profitable – business year. Energy manufacturing in Canada continues to slide from devastatingly low oil prices and a significant reduction in demand worldwide. Canada’s economy (that was largely built around oil exports) has witnessed the immediate postponement of ongoing projects, as well as the freezing of investments needed to stimulate future growth. What remains is an industry with a questionable future, making cuts to preserve what little profitability remains. Revenue and industry investment will continue to dwindle in 2016, which impacts the entire energy supply chain. Related Blog: Canada Declining in Market Share for Global Cleantech Industry – Despite hosting some of the most innovative companies in the world, Canada is declining in clean technology exports. The Canadian energy industry should seek to develop leading technologies and export them globally for a sustained advantage that is less dependent on oil prices. It appears that the key to manufacturing success in 2016 will be implementing innovative products and processes. Businesses must be willing to innovate to become more productive, to stretch their margins, and acquire investments that lead to future growth. While it may be difficult to initiate new projects with large spends, it may provide the edge that your manufacturing business needs to succeed in 2016. Manufacturers integrating innovative projects into their business should consider leveraging government grants and loans. 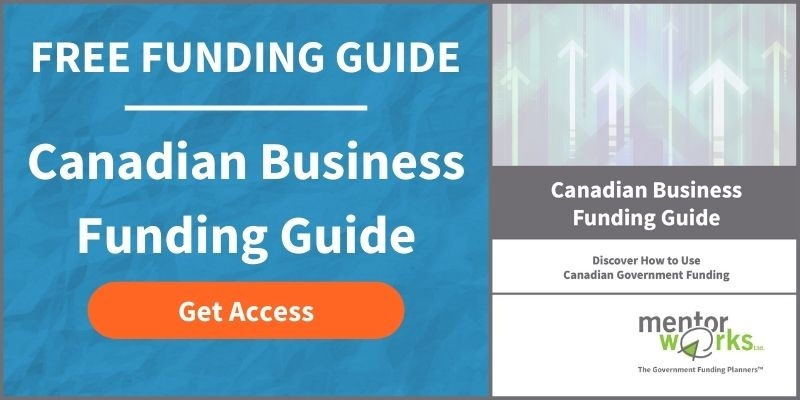 Canadian government funding is available for a wide range of manufacturers, and directly positioned towards subsidizing innovative projects. Increase cash flows and remove barriers to project completion by accessing small business funding.